The name of the house is Villa Casale. 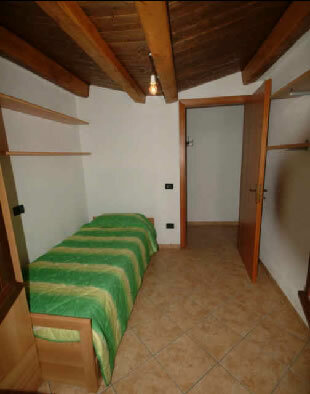 It is located in a small village 12 km from the regional capital Teramo, a major transportation hub. Terrace with panoramic view overlooking the ruins of an 11th century monastery. Fully furnished. 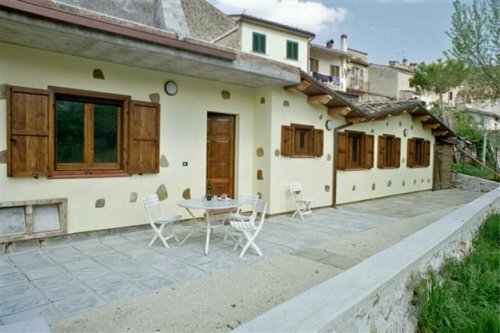 Recent construction with modern amenities while maintaining the charm of ancient Italy. Bus service to Teramo. Market, grocery and coffee bar nearby. 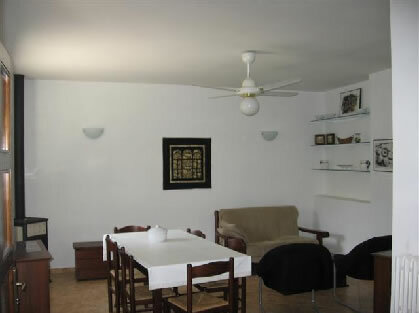 Close to restaurants and hiking trails. 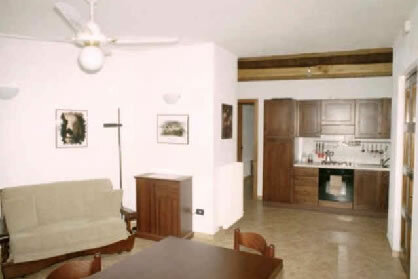 A great base for your Abruzzo visit. Midway between the Adriatic Sea and the Gran Sasso. The house was completed in August, 2004. The interior area is 65 square meters (690 square feet). 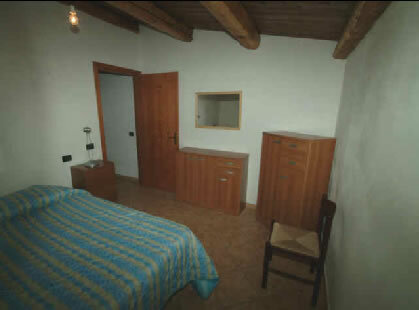 There are two bedrooms, a living room with a couch that folds out into a double bed, a fully equipped kitchen, and a bathroom with an enclosed shower. There is a wood burning stove for heating and a washing machine. A ceiling fan cools things a bit in the summer. You will be impressed. The property takes its name from its location on Via del Casale in Valle San Giovanni, a small town located near Teramo, the capital city of one of the four provinces of the Abruzzo region. It is midway between the Adriatic Sea (30 km/20 miles) and the Gran Sasso, the highest peak in the Apennine mountain range. Rome is about 176 km/110 miles away. 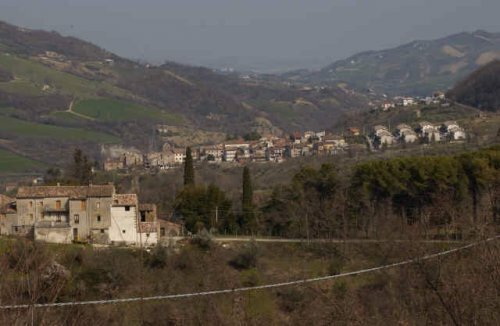 Valle San Giovanni is a quiet town of about 350 people. The residents of "La Valle" call themselves Vallaroli and are the nicest people in the world! Many have relatives in America and Canada. Casale sits at the end of a short alley off the main piazza. 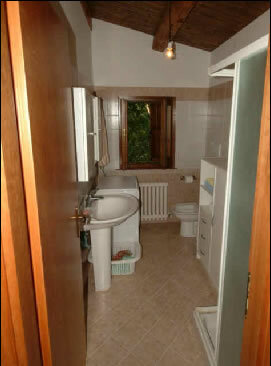 This provides serenity when desired while allowing plenty of contact with the lovely townspeople. The town has a church, one bar, a small grocery store, a fruit and vegetable market, a post office, and a small hardware store. A bus runs several times per day between Valle San Giovanni and Teramo. 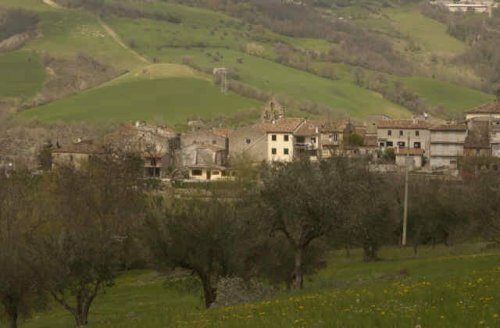 Casale is a great place to center your vist to Abruzzo while at the same time a perfect getaway from major tourist attractions. It provides peace and tranquility as well as the opportunity to take enjoyable daytrips to nearby beaches, fortress towns, and mountains.